Is this a newly found butterfly on the island or one that was originally determined as belonging to another Papilio species? totally new and really beautiful ! The position of the new Papilio seems uncertain. 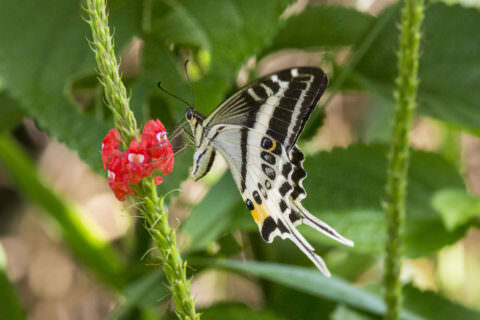 species group ('section') within Papilio may be appropriate". hewi can you post a photo of it? I haven’t gotten my Apollo magazine yet, don’t know why. Firstly I must apologise to all ICF members for having to pretend that the photo of a wild specimen of Papilio natewa was a photoshop fake. I knew it was real well over a year ago, and had to keep it a secret until publication. See collector-secret.proboards.com/thread/2475/help-me-identify-papilio for a copy of the original photo of a wild female specimen of this amazing species. How did euptera find the picture on the internet, if it was going to be used in a published paper, why was it put on the web and by who? One does feel a little bit sorry for euptera. The photo was available on the Operation Wallacea website, and euptera must have seen it there. A strange situation where a picture of a new butterfly was placed on the web before it was described, never heard of that before. Wonderful discovery, I though Fiji had been quite explored but when John Tennent arrives on an Island who knows what he might find. He is certainly one of the most outstanding butterfly explorers of our time. This is a turn up, what a find, I wonder if it will ever be available to collectors? John Tennent was asked to go there to help recently, he didn't actually discover its presence on the Natewa Peninsula as a result of going there. When was it first sighted?